This year’s successors from the Olympics and Paralympics to be honoured after outstanding achievements for Great Britain. 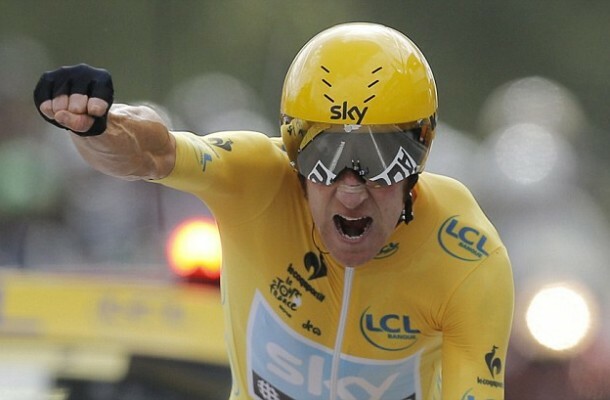 Bradley Wiggins is the highlight of 2012 after becoming the first Briton to win Le tour De France and then win Olympic gold at the cycling time trials. Just a few weeks ago the cyclist won BBC’s sports personality of the year as this year’s award was the closest ever seen. Wiggins’ cycling coach, Dave Brailsford, will join Wiggins for knighthood. Brailsford is the coach of team sky, team GB cycling and Paralympic cycling. Olympic sailor, Ben Ainslie has alongside been knighted with Wiggins and Brailsford for winning his 4th gold medal at his 4th Olympic games and his services in sailing. Yet again the Olympic and Paralympic rowing team dominated the races in rowing and have done for many years. Olympic and Paralympic rowing coach, David Tanner, will be knighted for his services in rowing and coaching the Olympic and Paralympic team. And the only female athlete to be knighted this year, Sarah Storey, will get her knighthood for her services in para-cycling. Mo Farah and Jessica Ennis who were thrilled a lot of fans in the Olympic stadium during London 2012 have both been awarded CBE. Jessica Ennis was runner up in this year’s sports personality of the year. Andy Murray who this year became the first British tennis player to win a Grand Slam in 76 years since Fred Perry and winning Olympic gold for winning the singles tournament is given an OBE. The new year’s knighthood is a great way to end a fantastic year in British sports. It could be a very long time until we witness a successful year like this one. The athletes that won a gold medal in the London Olympics or Paralympics would either be given a knighthood, CBE, OBE and MBE. CBE: Katherine Grainger – rowing; Jessica Ennis – athletics; Mo Farah – athletics; Victoria Pendleton – cycling; David Weir – athletics. OBE: Charlotte Dujardin – equestrian; Jason Kenny – cycling; Andy Murray – tennis; Laura Trott – cycling; Sophie Christiansen – equestrian; Ellie Simmonds – swimming. MBE: Nicola Adams – boxing; Tim Baillie – canoeing; Laura Bechtolsheimer – equestrian; Scott Brash – equestrian; Alistair Brownlee – triathlon; Steven Burke – cycling; Luke Campbell – boxing; Peter Charles – equestrian; Katherine Copeland – rowing; Helen Glover – rowing; Alex Gregory – rowing; Carl Hester – equestrian; Philip Hindes – cycling; Sophie Hosking – rowing; Jade Jones – taekwondo; Anthony Joshua – boxing; Peter Kennaugh – cycling; Dani King – cycling; Mary King – equestrian; Ben Maher – equestrian; Ed McKeever – canoeing; Joanna Rowsell – cycling; Greg Rutherford – athletics; Louis Smith – gymnastics; Heather Stanning – rowing; Etienne Stott – canoeing; Anna Watkins – rowing; Peter Wilson – shooting; Jessica-Jane Applegate – swimming; Natasha Baker – equestrian; Danielle Brown – archery; Mickey Bushell – athletics; Hannah Cockroft – athletics; Mark Colbourne – cycling; Josef Craig – swimming; Deborah Criddle – equestrian; Aled Davies – athletics; Neil Fachie – cycling; Jonathan Fox – swimming; Heather Frederiksen – swimming; Oliver Hynd – swimming; Helena Lucas – sailing; Craig MacLean – cycling; Nigel Murray – boccia; Jonnie Peacock – athletics; Josie Pearson – athletics; Pam Relph – rowing; Naomi Riches – rowing; James Roe – rowing; David Smith – rowing; Lily van den Broecke – rowing; Sophie Wells – equestrian; Richard Whitehead – athletics.